Postage Stamp 8th green at Royal Troon. 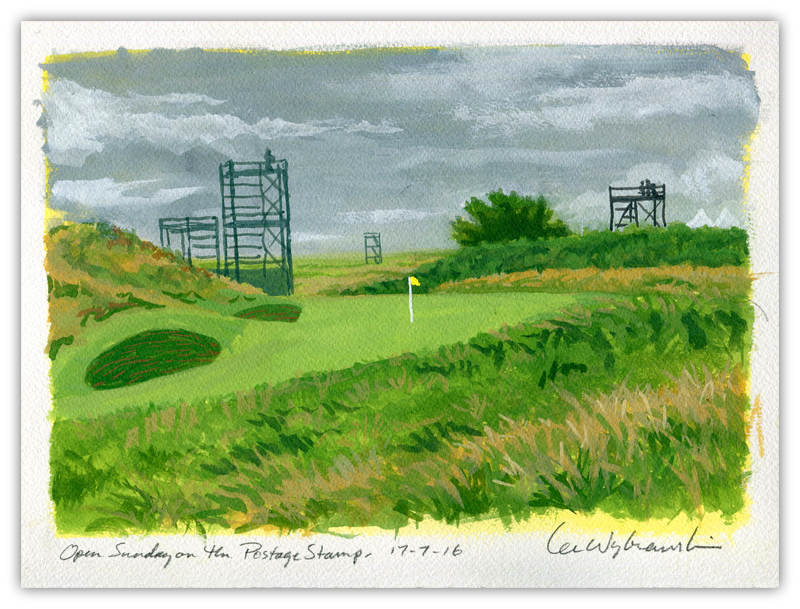 The Postage Stamp – 9” x 12” painting in gouache depicting the Postage Stamp 8th green at Royal Troon. Painted live on Open Sunday, July 17th, 2016. Postage Stamp – 9” x 12” painting in gouache depicting the Postage Stamp 8th green at Royal Troon. Painted live on Open Sunday, July 17th, 2016.